Riveted Rocket made from hammer formed aluminum. Inspired by Spacex / Elon Musk announcement that they plan to send two civilian tourists on a joyride around the MOON! 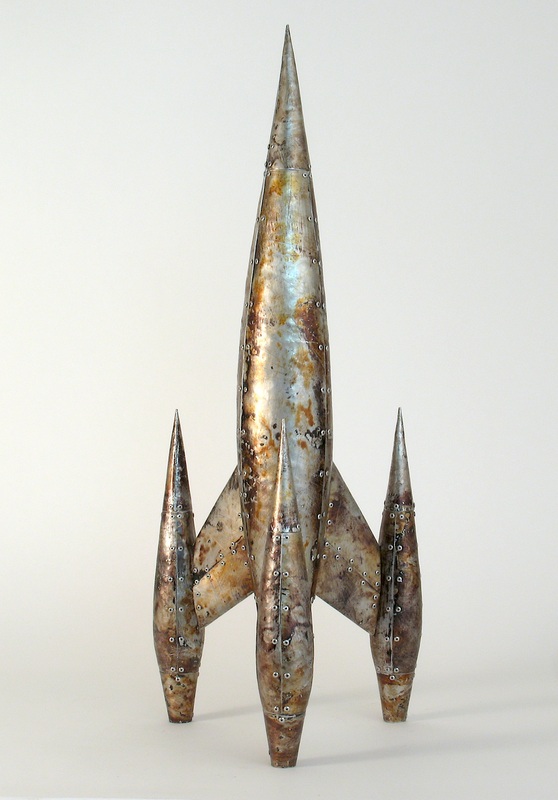 Audacious… It stirred some long dormant boyhood fanciful thinking about space exploration, and this “ideal” rocketship design came into my mind, then onto the back of an envelope, then into drawing software to create templates, then into physical form in riveted aluminum! A fun project from start to finish.